Born in the Pacific Northwest logging country in 1929, the Hyster reputation for rugged all-terrain materials handling equipment spread throughout the world. Today, the Hyster logo and unmistakable yellow body can be seen in 130 countries throughout the world. If you’re looking for a rugged and reliable used forklift, look for a used Hyster forklift. While Hyster established its reputation with its original lines of Class VII rough terrain vehicles, the company didn’t rest on its laurels, but continued to develop a full product range. In fact, the company now boasts the largest range of industrial vehicles on the market – 130 models in all. While Hyster forklifts are built tough for tough use, they’re also built with safety uppermost in mind. Every Hyster forklift has dozens of safety features built-in. Ergonomically designed, they are made for operator comfort, safety and productivity. 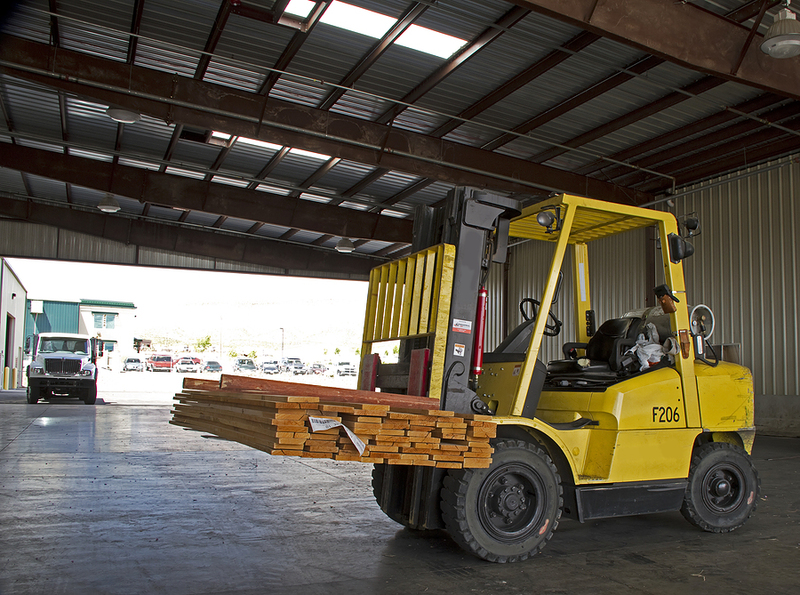 When you buy a used Hyster forklift to replace your old lift truck, you are buying a forklift that arguably will significantly increase your operators’ safety and productivity, too. Why Buy a Used Hyster Forklift from ReconditionedForklifts.com? Wherever there are used forklifts for sale, there are bound to be some used Hyster forklifts among them. Why should you choose to buy yours from us? Just as Hyster has a long tradition of excellence behind it, so does our parent company, Bahrns Materials Handling Equipment and Supplies. Founded in the industrial heartland of Illinois in 1966, Bahrns, like Hyster, quickly grew into a trusted name in the Illinois materials handling industry. If you’re looking for an inexpensive replacement vehicle your service team can repair for you, look for an “As Is” used Hyster forklift. Our expert service technicians have already inspected the vehicle for you and written an exhaustive list of its defects, taking the guesswork and risk out of your purchase. If you want a used Hyster forklift that you can put to work immediately upon delivery, look for our “operational guarantee.” As with all of our used lift trucks, our service technicians have thoroughly inspected these vehicles and made sure they can be safely operated without further reconditioning. For complete peace of mind, choose a “reconditioned forklift” from our range of pre-owned lift trucks. These have been completely overhauled by our expert service engineers and include genuine OEM replacement parts where needed to ensure safety and reliability. We are an authorised used Toyota forklift dealer and our technicians adhere to the high standards set by Toyota. When you buy a used Hyster forklift online from ReconditionedForklifts.com, expect to find the same level of quality, service and reliability you would find if you visited our Effingham, Illinois showroom in person. Our website is your direct link with our warehouse. Call us anytime at 1-855-742-0159 Monday through Friday between the hours of 8am and 5pm CST and talk with our customer representative in person or contact our support team via email at support@bahrns.com. You can also use the handy contact form on our Contact Us page. Not just a faceless virtual showroom, we are a team of professionals dedicated to giving our customers the highest level of service. We look forward to hearing from you soon.